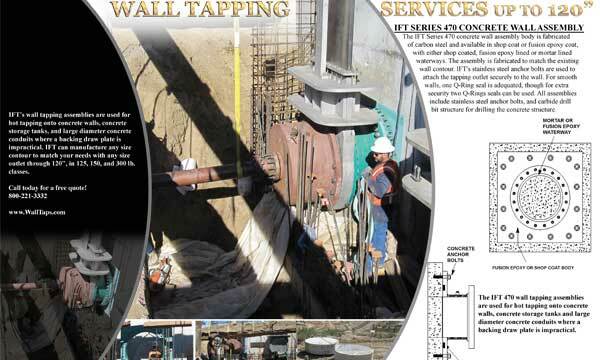 In preparation of a wall tap, the surface on the existing wall should be pre- excavated, and inspected, prior to ordering the tapping anchor and seal plate. 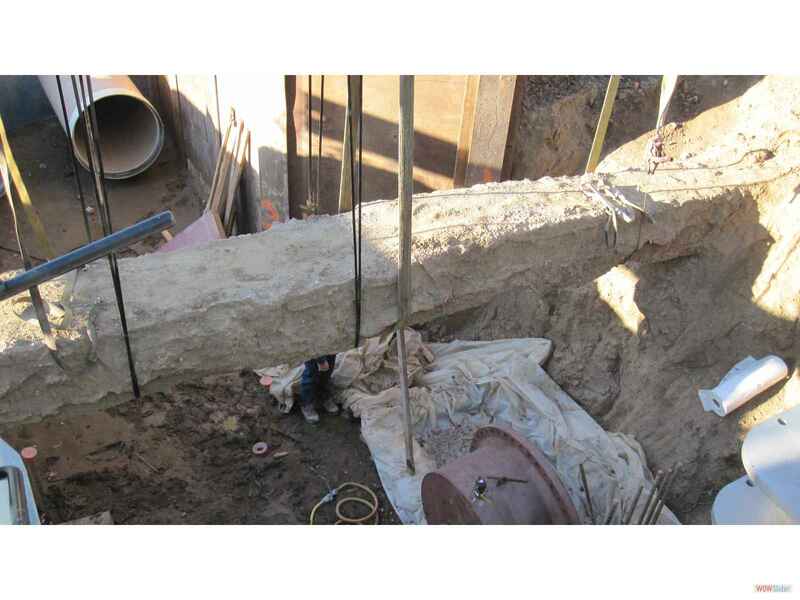 In most circumstances, the wall surface should be flat and have no visible signs of cracking. 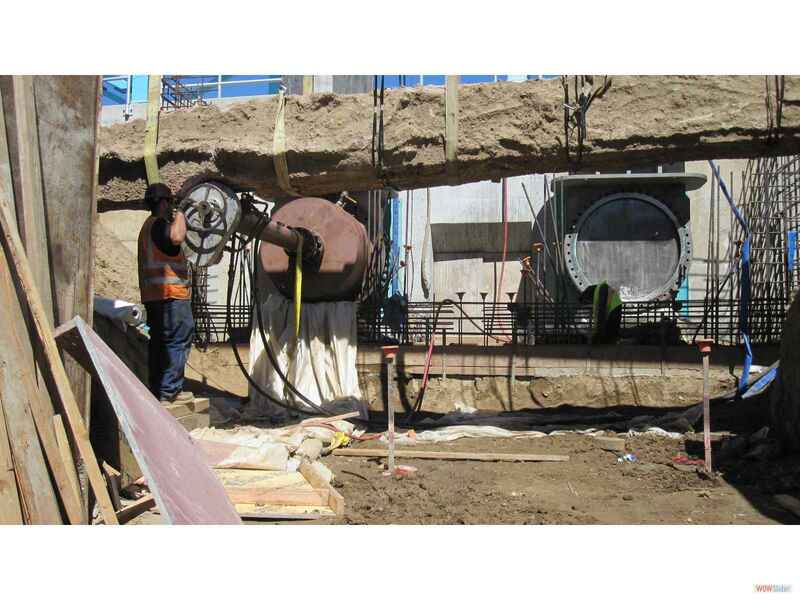 If the surface is not smooth, or slight deformations exist on the wall surface, a diamond surface grinder can be used to smooth surface. 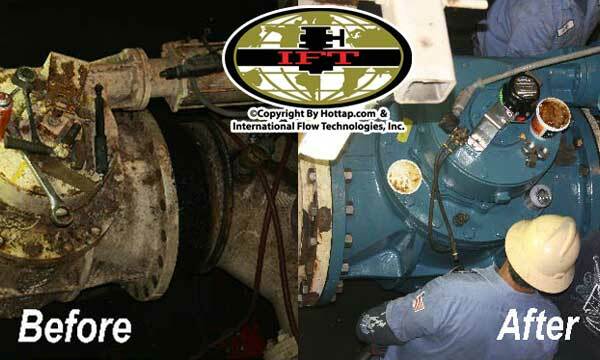 Smooth grinding will improve the surface condition to ensure a gasket seal. 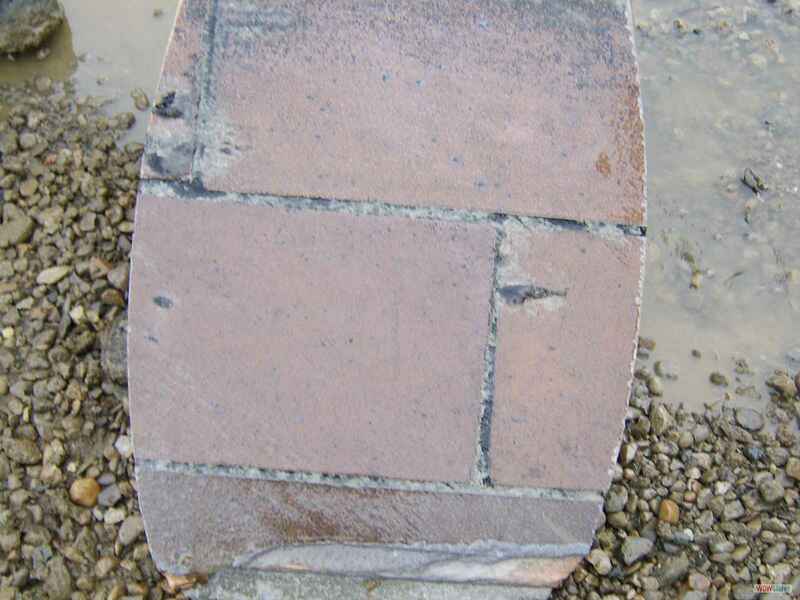 If the wall has visible signs of cracking it is possible to seal the cracks, but choosing a different location may prove to be more practical. 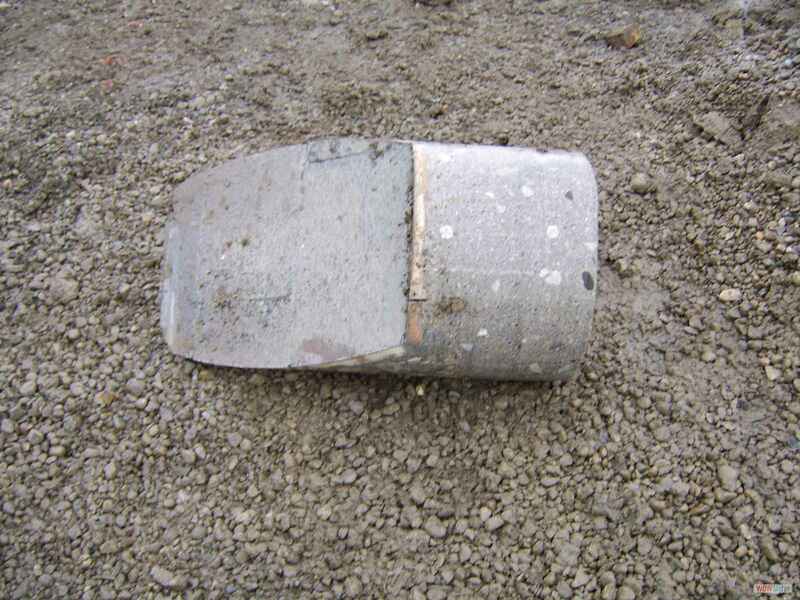 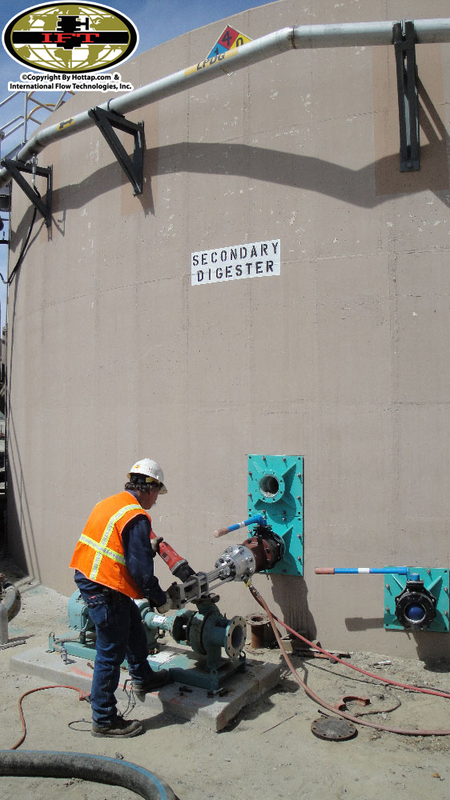 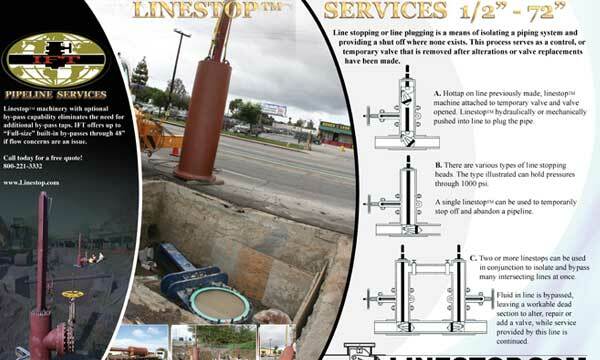 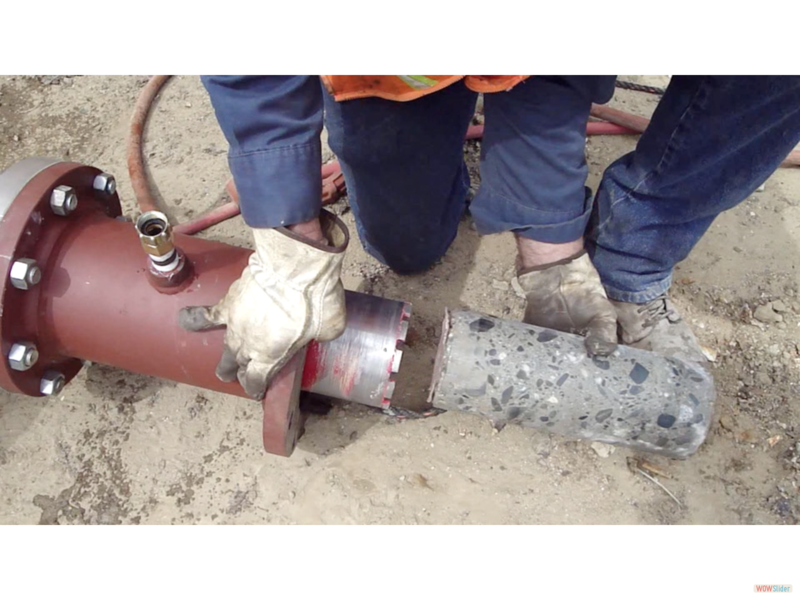 Once the connection point is inspected the anchor plate can be ordered. 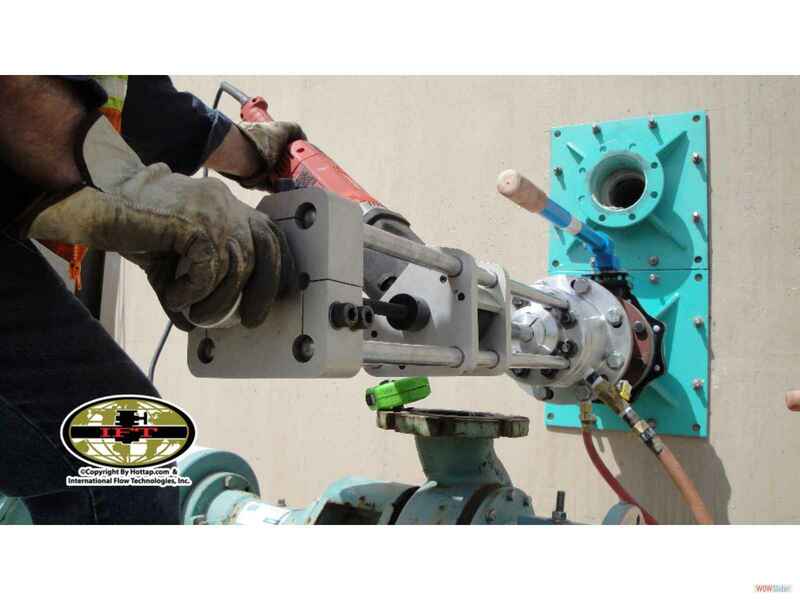 When ordering the anchor plate, please specify either, shop coating, fusion epoxy coating, or stainless and grade. 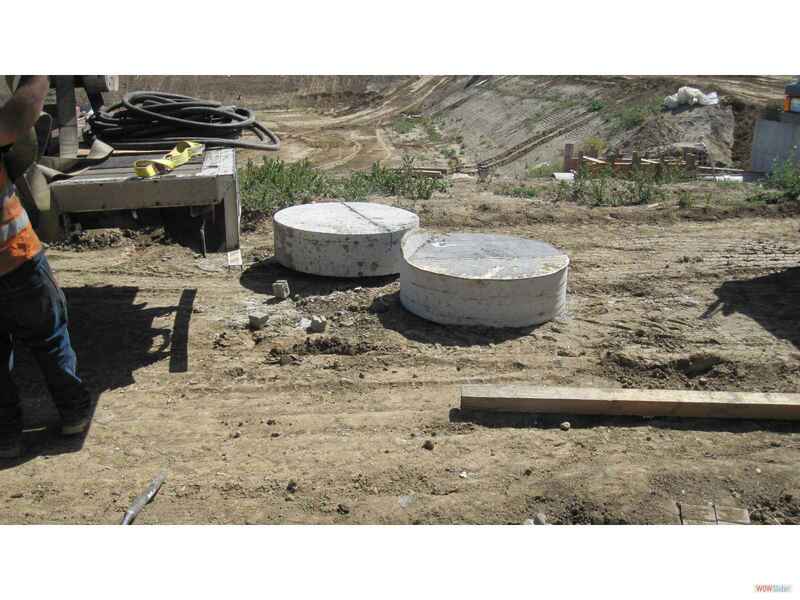 Also indicate the type of anchor bolts, "low alloy" or "stainless steel." 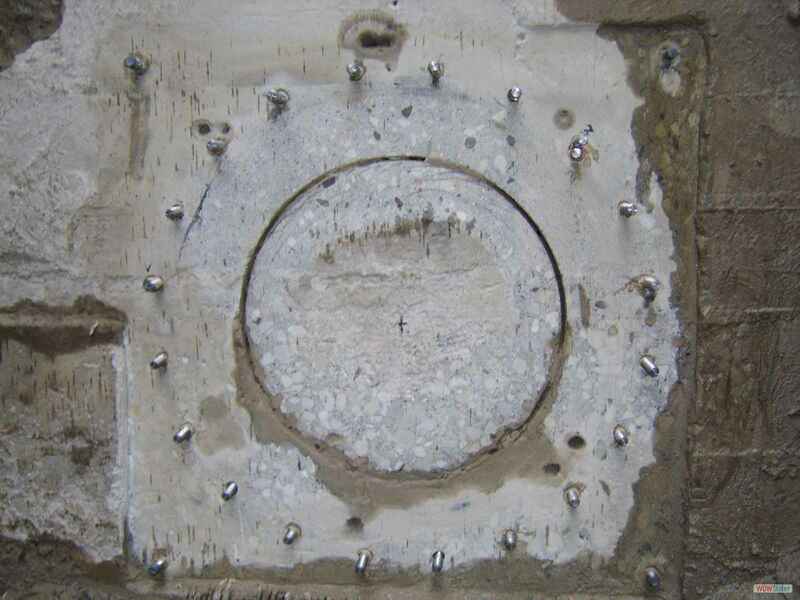 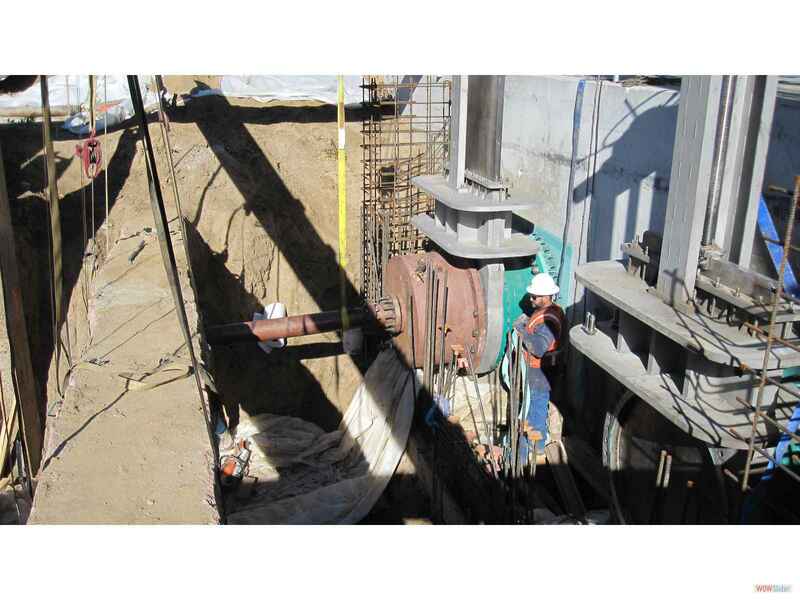 For installation to the wall, holes are provided through the anchor plate to allow the anchor bolt to be drilled into the wall with nuts that draw the anchor plate tight against the wall. 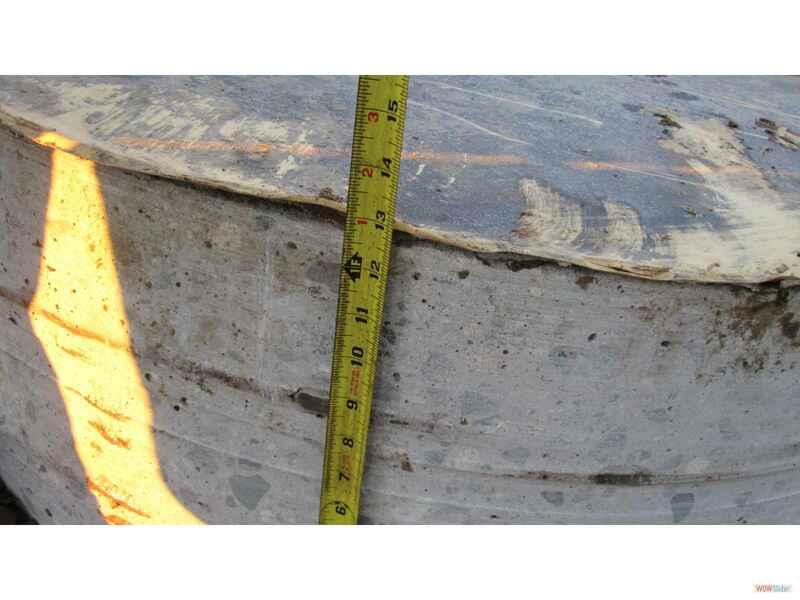 Chemical adhesion of the anchor bolts is preferred by IFT. 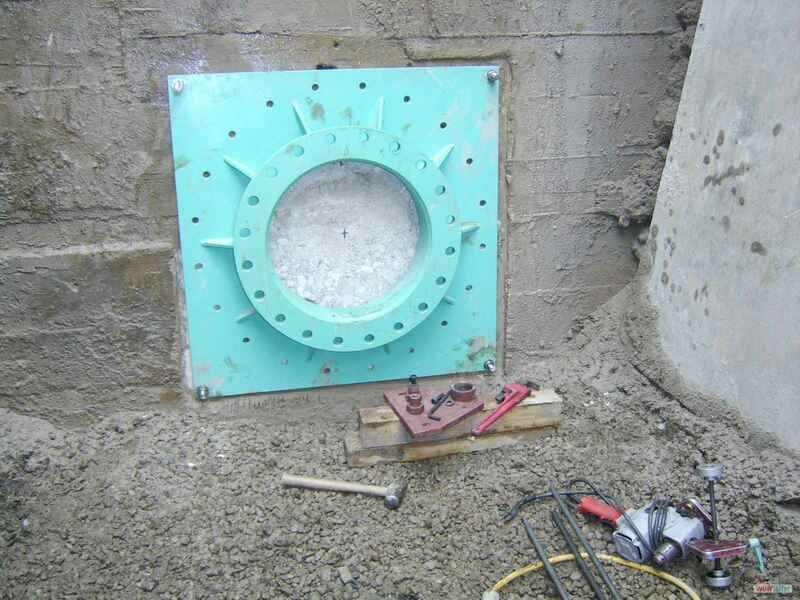 Once the bolts, anchor plate, and nuts are installed, the gasket compresses against the wall surface to create a permanent seal. 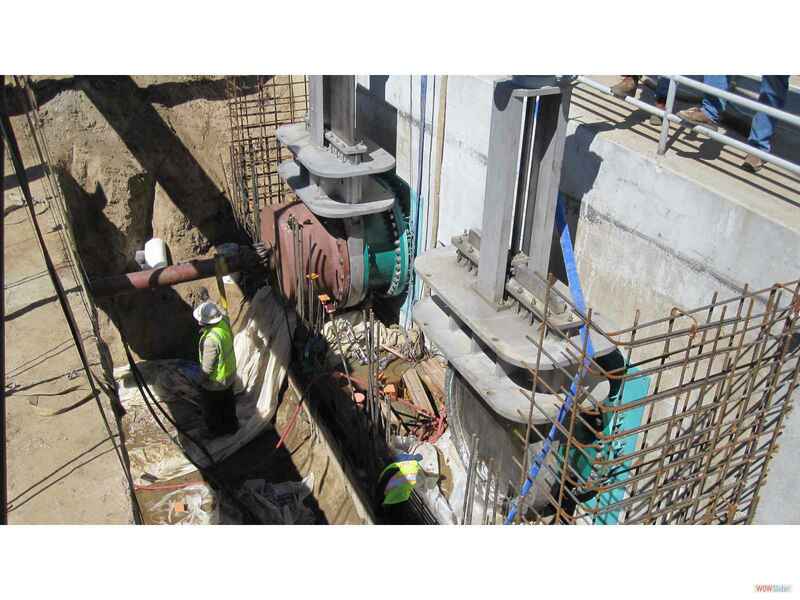 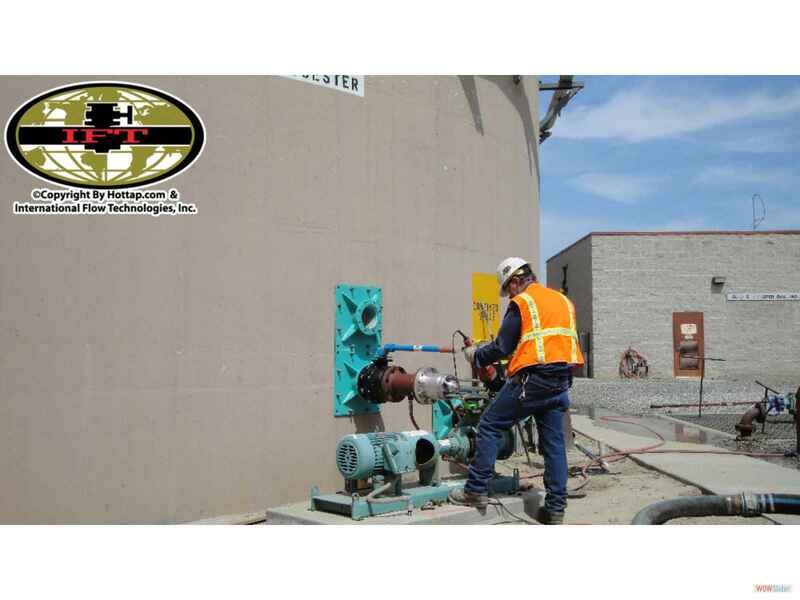 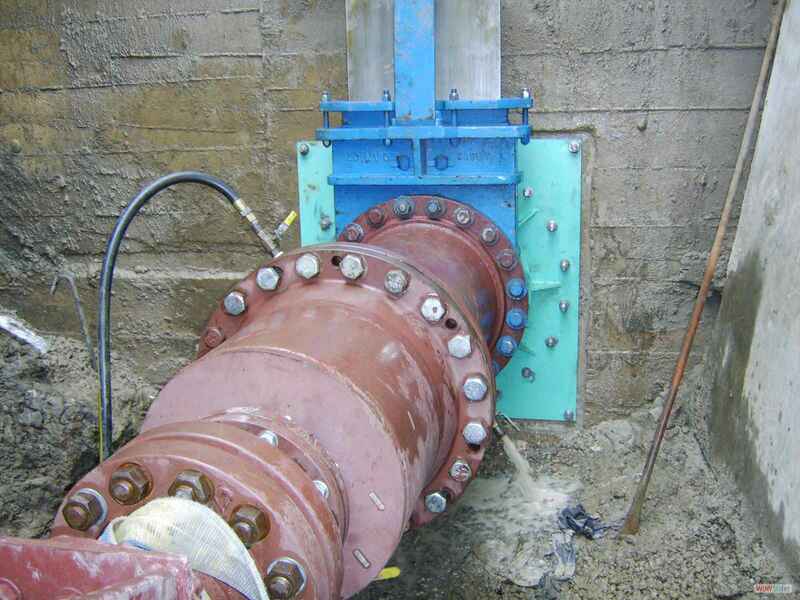 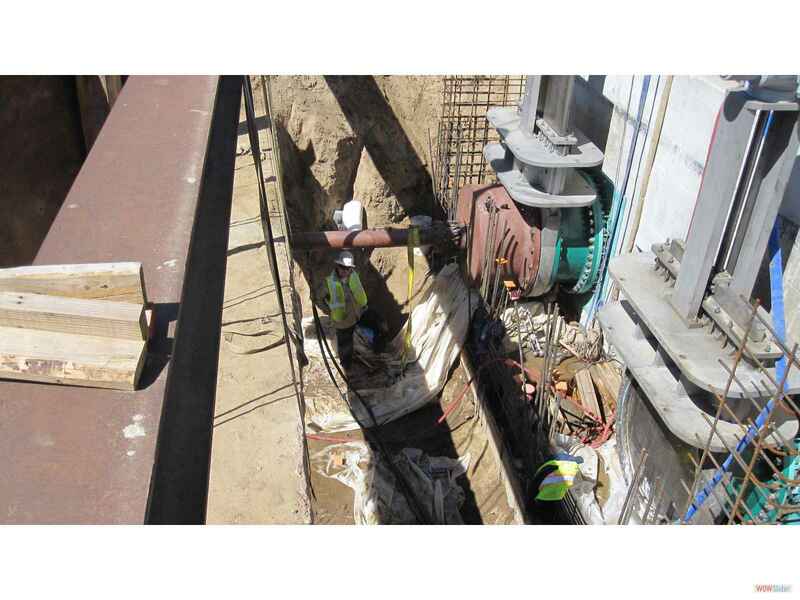 After the anchor plate installation is complete, the tapping valve shall be installed, and the valve bolts shall be tightened in a star alternate pattern, so the valve will mount flush. 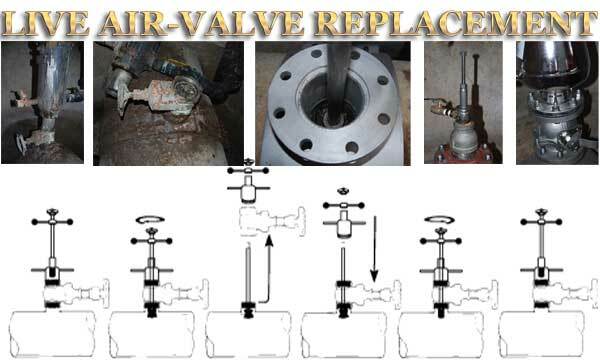 For valves 8" and larger, a permanent valve support is recommended. 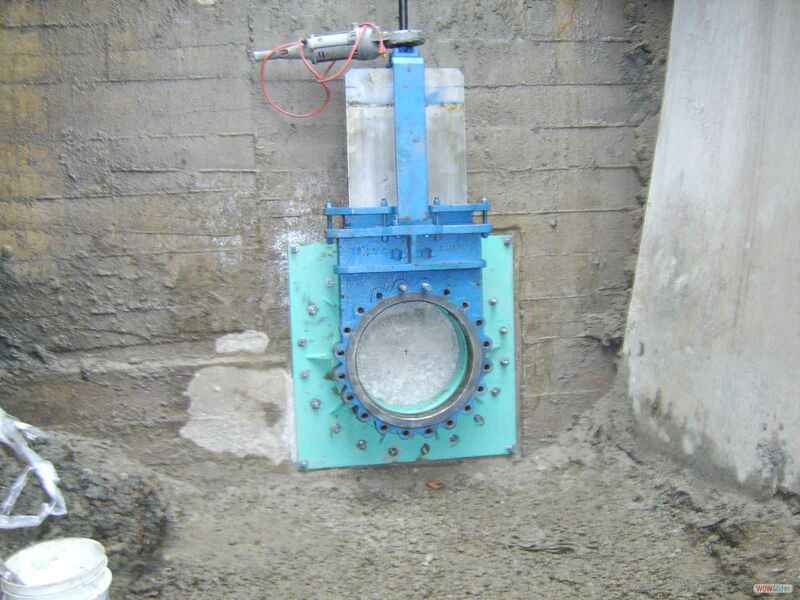 At this time the tapping machine will be installed and the anchor plate, tapping valve, and tapping machine will be pressure tested 25% over the working pressure, with a hydrostatic test pump. 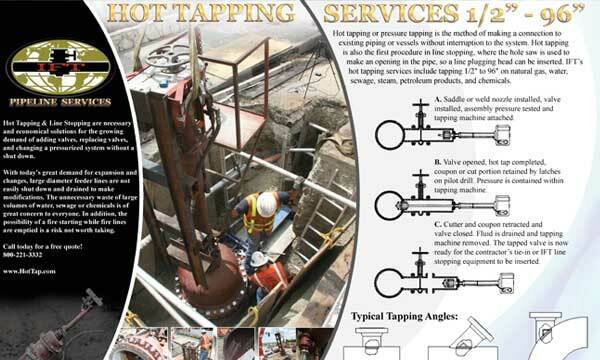 Upon a successful test, the tapping cutter of the hot tapping machine will be advanced forward and the wall will be hot tapped. 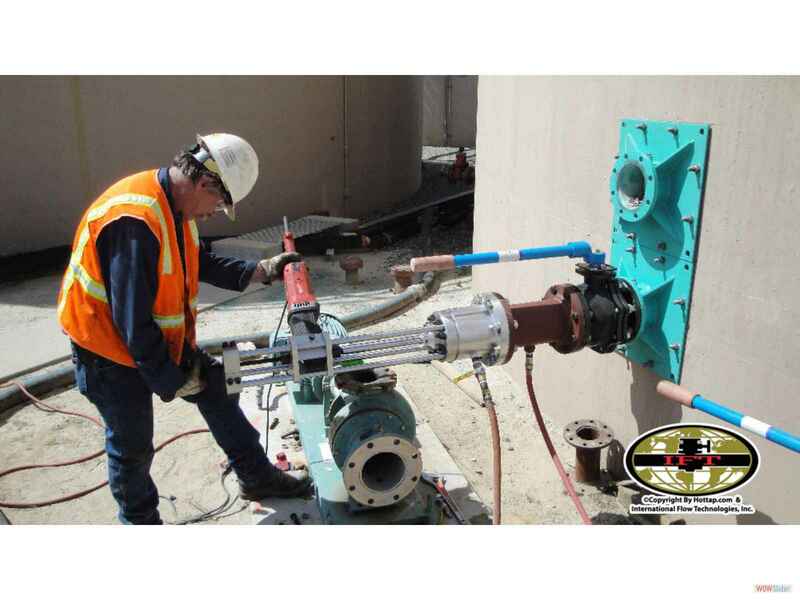 Once the hot tap is complete, the shell cutter is retracted, and the tapping valve will be closed. 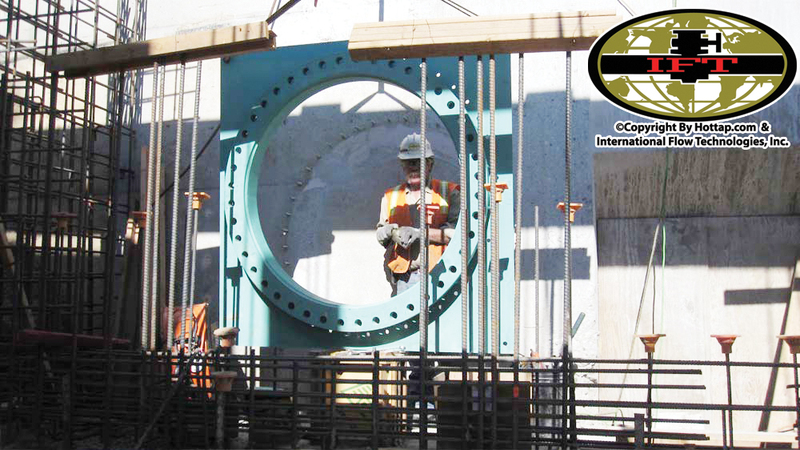 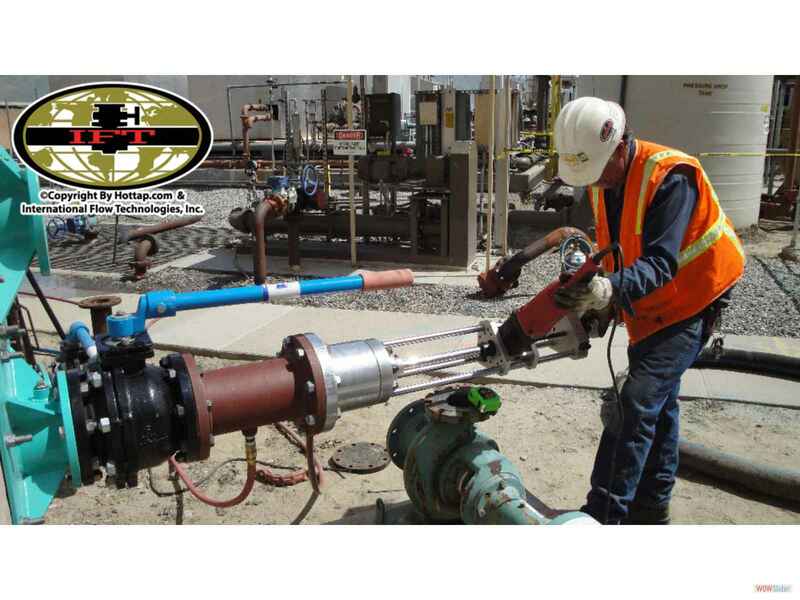 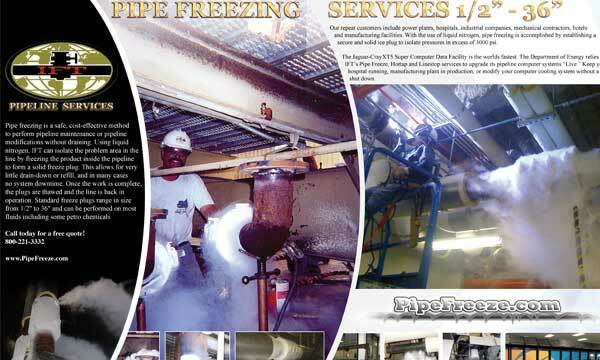 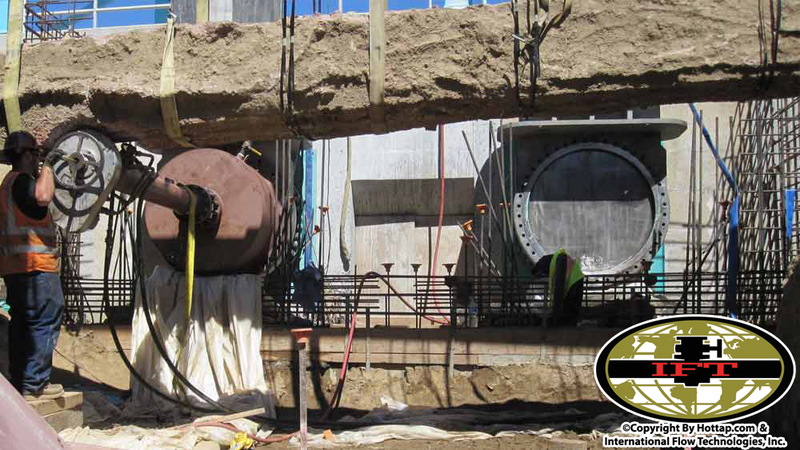 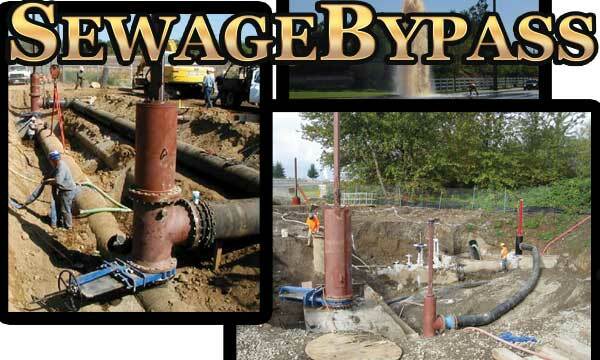 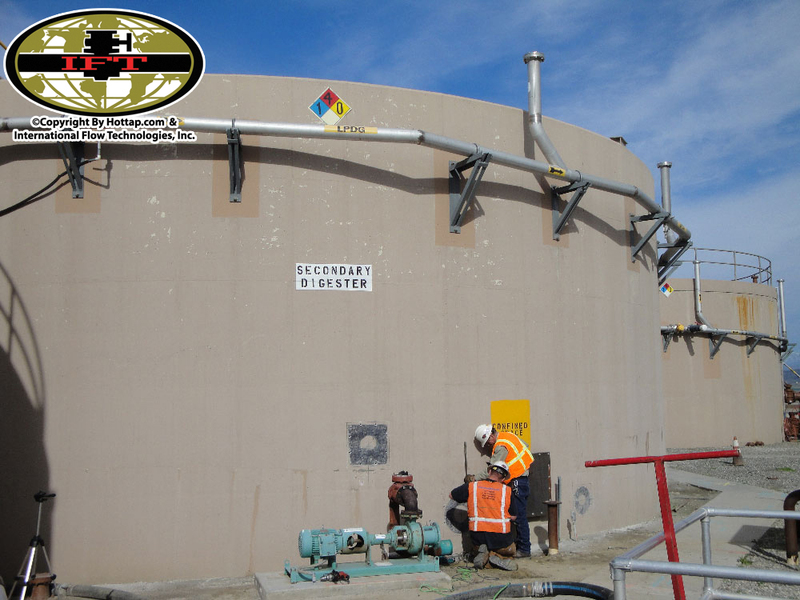 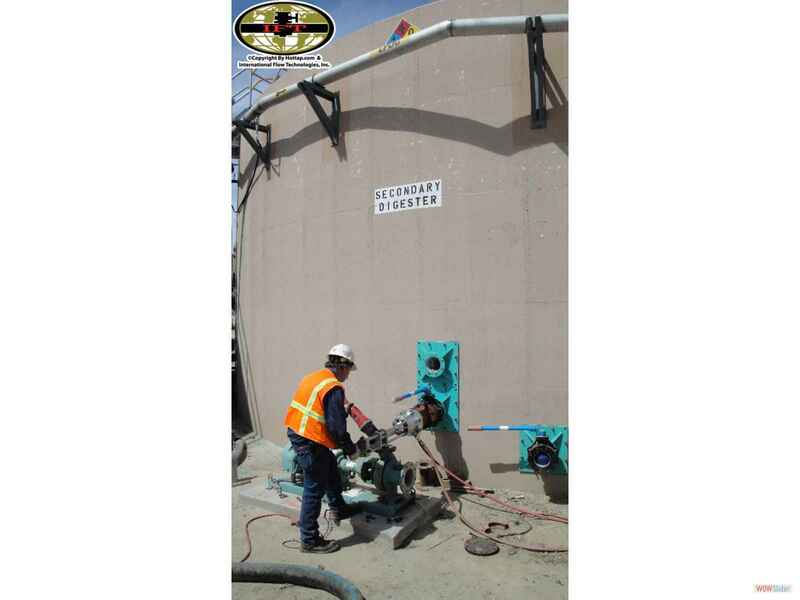 At this time the tapping machine is removed and piping can be installed.